Our product range includes a wide range of cooper bearing, linear bearing, lm bearing, slim bearing, high temperature bearing and ball screw bearing. 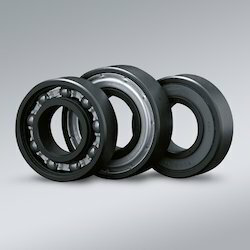 Cooper is expert in the design, manufacture and supply of specialist bearings. We invented the ultra flexible split-to-the-shaft system and continue to pioneer development and manufacturing at world-class level. 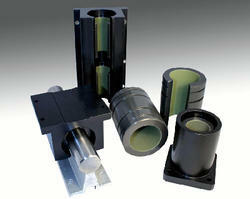 We are the leading supplier and dealer of Linear bearings in chennai. 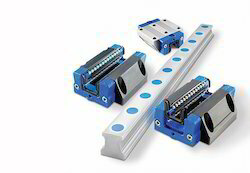 A linear bearing or linear slide is a bearing designed to provide free motion in one dimension. 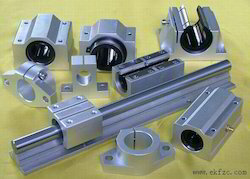 There are many different types of linear bearings. A reputed manufacturer & supplier of flange type linear motion bearing for steel industry, flange type linear motion bearing for iron industry, flange type linear motion bearing, linear motion bearing with housing, and linear motion bearing. We are a leading manufacturer & supplier of flange type linear motion bearing, flange type linear motion bearing for iron industry, linear motion bearing with housing, flange type linear motion bearing for steel industry and linear motion bearing. An example of linear motion is throwing a ball straight up and having it come back straight down. In linear motion there is only an x value to represent displacement, and x varies with t (time). Exporter & wholesaler of linear bearings, IKO, nadella. 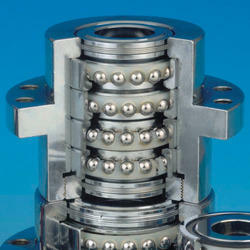 Also offering swing bearing for mining applications, radial bearings with lip seals, ap integrated bearing assemblies. Supplying and manufacturing linear bearing which includes linear motion bearing, fabricated linear motion bearing, metal linear motion bearing, high tensile linear motion bearing and industrial linear motion bearing. 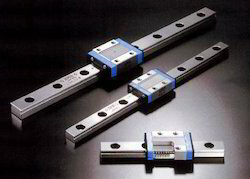 We are one of the leading suppliers of the best quality range of Linear Motion Systems. The configuration of these systems is done in accordance with the specific standards that ensure the satisfaction of the client. Our clients can avail these systems in accordance with different specifications as per their requirement. 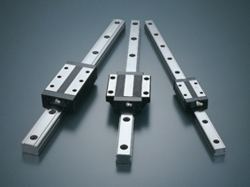 the linear motion systems we offer are widely applicable in automotive and some other heavy duty industries. Regardless of your industry type, NTN offer a diverse series of mounted bearing units to fit your application. Whether for mining, construction, or food processing, NTN has the solution for your industry. 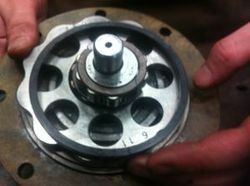 The input shaft is mounted eccentrically to the ball bearing, causing the cycloidal disc to move in a circle. 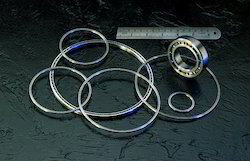 The cycloidal disc will independently rotate around the bearing as it is pushed against the ring gear. This is similar to planetary gears, and the direction of rotation is opposite to that of the input shaft. The number of pins on the ring gear is larger than the number of pins on the cycloidal disc. This causes the cycloidal disc to rotate around the bearing faster than the input shaft is moving it around, giving an overall rotation in the direction opposing the rotation of the input shaft. The cycloidal disc has holes that are slightly larger than the output roller pins that go inside them. The output pins will move around in the holes to achieve steady rotation of the output shaft from the wobbling movement of the cycloidal disc. The reduction rate of the cycloidal drive is obtained from the following formula, where P means the number of the ring gear pins and L is the number of pins on the cycloidal disc.